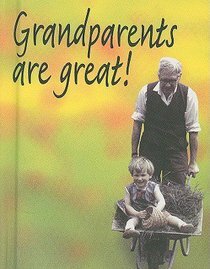 Celebrating the many facets of the grandparent-grandchild relationship, this anthology of quotations is illustrated in a contemporary photographic style. Everyone knows that grandparents are great. Forget the stereotype of doddery old folks, most grandparents play an enthusiastic, energetic part in the lives of their grandchildren. This charming anthology of heartwarming quotations and touching photographs allows kids (and their parents) to say "thank you" and "we love you." About "Mini: Grandparents Are Great"